I am a huge fan of Grobags, and have used them with all 3 children. I intend to stock up on a few new designs for the new baby, and one that is definitely on my must have list is this all new Royal Grobag. As the world awaits the imminent birth of the newest Royal Baby, The Gro Company, No.1 provider of award winning sleep solutions for babies and young children, have developed the exclusive quintessentially British Union Jack Grobag. There is no better way to celebrate the birth than by generating the ultimate parenting ‘must have’ with the British heritage stamped all over it. 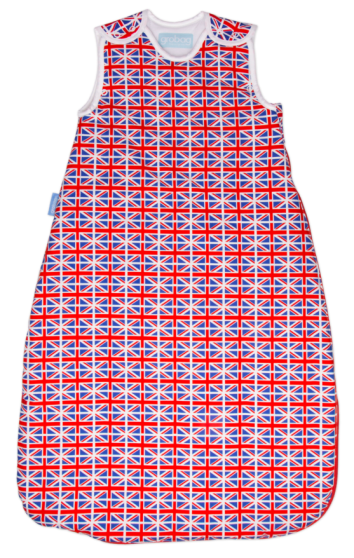 Fabulously British this unisex Union Jack inspired design is a limited edition with only 200 produced worldwide. If you fancy being one of the few lucky people to get your hands on a limited edition Royal Grobag, then all you have to do is enter via the rafflecopter form below – good luck!